THANK YOU for featuring my first build ever!!! WOW!!! I am in shock!!! I credit this site and all the PC builds on here for helping me form the vision that you see here!!! Hello, I am currently in my last semester of my Pharmacy School Doctorate program. Prior to this PC, all I have ever owned was a Dell Laptop (died) and a MacBook (putt-putting along still). Both of which I bought by selecting the most expensive laptop (I could afford) available on their respective website thinking that more expensive = lasts longer (I know I’m dumb). Back in August 2017 our household had 3 laptops total but unfortunately 2 of the 3 laptops died and well I began searching online for a new laptop. I soon transitioned to looking into buying a PC instead. I had just moved into an actual home as I finished my last year of school and finally had a room I could turn into my “office”. So, I started looking around and first looked at BestBuy and their PCs. I stumbled across their iBuyPower prebuilt and honestly was attracted to the RGB lighting. Upon asking a knowledgeable employee, He explained to me how this prebuilt contained some of the top PC components available at the time. He then proceeded to ask why not just build a PC? I was honest and told him I had no idea how to even start. At the time, I did not even understand what RAM was and how it affected a computers performance. All I knew was that an i7 was good. He told me I should investigate building a PC and mentioned this website. He even suggested me buying the prebuilt and upgrading it over time. I said OK but was not really interested. I went home and later decided to log onto this website. Let me tell you all I was shocked! I started looking at all the PCs and immediately fell in love with the absolute uniqueness of each and every one of these machines. I poured through so many builds. I could not get enough. I still at this time did not understand the parts. I started googling and stumbled upon Origin and their PC building walk through tool. Again, I started selecting all the options possible even though I did not know what they were. At the end, I had built an $8,000+ PC… I knew I could never afford this PC (mainly because I selected all the option without knowing what I was selecting). I then started watching YouTube videos on building a PC and doing research on individual PC parts and what they did in a computer. As I researched more, I started comparing favorite PC builds on this site with each other and asking myself, why did this person select this CPU vs this other person. Because I am in my last year of school, my school hours are 8am-5pm Monday through Friday. I would come home and do homework and then try to find time to do more research on building a PC and the components. After about 3 months of research I finally felt that I knew what/how to put together a reasonable PC for what I wanted to eventually do. This PC is my first ever build as I explained in the background above. I started purchasing parts the 2nd half of October. I started building this PC during the first week of November and because of scarce time, I finished the initial build of this PC by the second week (remember this was my first build and I was trying to be very, very thorough as well as I had trouble loading Windows thanks to a faulty thumb drive). Even though this was my first build, I had a vision of what I wanted. I was fixated on a White build. While researching parts I fell in love with the Corsair Crystal 570X RGB White case. I was certain this was the case I wanted. 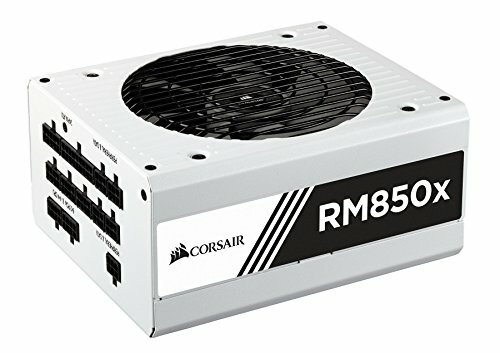 I wanted this PC Build to be able to handle anything thrown at it and last a very long time. 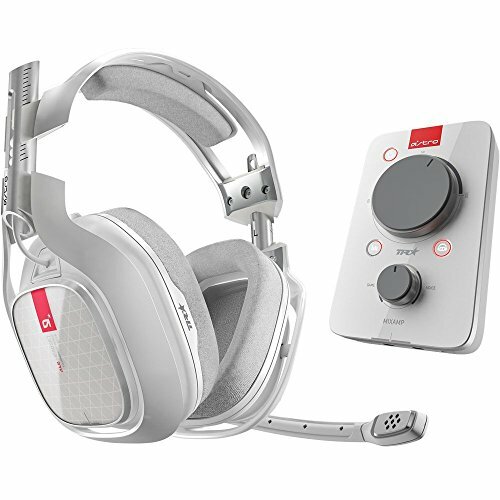 I wanted to be able to render music and video software as well as some light (growing) gaming and streaming. This PC build was built from the start of November to the middle of February. The reason it took so long was that my time was limited between school and work and mostly because the customizations I did and the custom parts I ordered took a little bit to arrive/complete. Since I am finishing up pharmacy school I wanted to reflect that in my build. The name “RTIC XTAL” (aka Arctic Crystal) of this build is broken down to 3 components. Obviously the “RX” corresponds to my pharmaceutical career. “RTIC” because this is a predominately White build and “XTAL” because of all the glass panels on the Corsair Crystal 570X Case. What’s the Mortar and Pestle? The mortar and pestle in this PC was a gift from the pharmacy school I attend. I received it during my white coat ceremony, which occurs the semester before I start my last year of school. The last year of pharmacy school consists of working in many different pharmacy settings to be able to apply my didactic knowledge of pharmacy school and give me hands on experience. Even though this is my first PC build, I had a vision from the start and just wanted to go all out! I will now list the custom mods I did. -PSU Cables = These custom sleeved cables came from ensourced.net and were just what I needed. -AIO cooler Tube Sleeving = These came from CableMod. I did buy a white and Light blue set. -White HD120 Fans by Corsair = These were something I thought of. I loved the HD120s but hated the black ring around the edge. I started thinking of painting them but decided against that after realizing there was too great a chance for error. I then had the idea to vinyl wrap the black with a Satin white Vinyl to match the case. This turned out perfect!!! I also used White Round blank mailing labels which were the perfect size for the middle of the fans, to print off the logo you see on them. In addition, I also removed the black corner and rubber parts on the fans. -White NZXT aio Raidiator and White MOBO components = I plastidipped the radiator but carefully masked off the middle part so the plastidip would only be on the outside frame. The MOBO, I painted the plastic component on the left with plastidip as it runs from the top to the bottom and I also vinyl wrapped the top of the Heat Sinks. I love music and consider myself a musician. I especially enjoy the RGB lights syncing to music via the ASUS Aura software. I am pleased that every RGB Component except the Corsair Fans and LED strips are reactive to music (Video Included). I was even able to take the GPU Support bracket which was bought on amazon and hook it up to the MOBO. I also modified the “Corsair” logo on the PSU shroud with an RGB strip and will also become synced to the music via the MOBO header. I was happy to find the RGB light rings found under the mortar and pestle and in the PSU shroud. All these components are hooked up to the 2 available RGB headers on the MOBO thanks to RGB splitters found on Amazon. My overall setup was done on a budget. The desk was found on a great black Friday deal and the monitors were also. I have a friend that is good with wood working create a side table specific to my desk to become an extension in order to have my PC sitting next to me because I could not stand to have built such a great looking machine and not be visible at all times. I know some of you may disapprove of the setup but like I said I spent most of my money and resources on the actual PC but hopefully by the end of 2018 I will have upgraded the Monitors and Desk. I have mainly been a console gamer but with this PC I’m looking to start PC gaming. How well does the mortar and pestle overclock with that Mobo? I've heard mixed things on it. Amazingly thought out and execution on the build!! Thank you! I actually am going to start researching how to overclock the Mortar & Pestle soon. This being a first build came out to be better than expected. Gotten alot of possitive feedback! I think you'll need to increase the voltage to it. 1.4135v is the sweet spot for my Mortar & Pestle. Runs a tad toasty though. Thank you! I bought the GPU back in October thankfully! They're always out of stock, and they stopped producing them too. i wish i was as smart as you and i was thinking there would have been holiday sales. LOL awesome build man! This is an amazing build. Wow!! Themed build at its best!! Nice colour scheme + powerful config! Thank you! very happy how it turned out. Color scheme is amazing. This build is absolutely insane. The amount of detail you put into the build is just nuts. A feature is definitely in your future lol! I just watched your pc build video and it was great! I can't wait to see the Music Sync video! Thanks man! Since this Build is RTIC aka Arctic I wanted to convey a cold chilly feel. Hope I got that. Oh 100%. I can only hope my build turns out as unique and nice as yours. Also, can you explain to me more about the Music Sync? I’m very interested in it. Thanks Man! I just glad you all like it! Oh Yes we definitely need a feature build on this beautiful pc with the amount of detail it's just amazing!!!! Beautiful man. Love the idea. Config is great too. I’m inspired now to take my time on my build. And follow my ideas. Thanks man! You can build a better PC than this man. All you need is time and patience. Hope to see your build one day soon! Thx bro. Not sure if I can do a better one tho lol. Haha idk about that but appreciate the positive vibes!!! have a good day! YES YOU DID! Thanks for the support! Well done. It looks amazing, I hope you play the demanding games to make the most of the pc haha. Maybe GTA V maxed out? xD Ghost Recon Wildlands and Ashes of Singularity as well. Incredible first build. Deserves a feature. haha thanks man! Glad you like it! But the GPU backplate is not a great idea. It looks nice but it blocked a large portion of the exhaust air coming out of the cooler and causes the cooler to recycle hot air. I would say at least to have some slots cut out above the letters for ventilation. I agree with your comment. Have not overclocked this yet but will be monitoring for sure. Donm't want to kill this GPU. Thank you man! This truly is one of the cleanest builds I've seen on here. It will definitely be featured soon!! Hell yeah.... Well deserved feature!!! LOL i was thinking more of when people use Xmas to signify "Christmas" The first part sounds like the name "Chris" because of the almost silent "T" sound. Thats why Crystal part was formed with "Chris"-tal in mind. This is so dope! That thing under your GPU. I'm not sure what it is, but I want one. How do I go about obtaining one? Hey man thank you! Its a GPU support bracket I found on Amazon. I bought it before shopping around. I do not recopmend it for the price. V1 tech and the guy who made my GPU shroup makes some also. Link in description above. So did you make the backplate to curve around to cover the side as well? I have an ugly GPU (which I made worse with a failed paint job) and was looking for a remedy. I may have just found it! YES!!!! Follow the links in the description to the guy who makes these! He is an ARTIST!!! This is my first build ever. Please sir, might you be so kind as to fill my prescription for icantbelieveitis? This is a pro build, in my opinion. This is absolutely stunning work and your eye for design is spot-on. Wonderful work, you should be proud of both your achievements, be it school and this stupendous build. You had me at mortar and pestle - what a wonderful touch. Thank you man! It is all thanks to those who built before me and posted to this site. All I had to do was add a touch of me. :) I was so happy my Mortar and pestle from school fit perfectly! Then adding the RGB ring under it was just a stroke of good luck/thinking.... Was going to place the ring on the top between glass and radiator to showcase music effects. Layed it down and it was right nest to my mortar and an idea just happened. Then I saw a chnace to place one under the PSU shroud and wala! Wonderful build man! I love the led rings you got , were those custom made? I just can say: WooooooooWWWWWW!!!! Amazing job!!!! Haha thanks man! I'm so happy so many people like it! Awesome build and setup, I like how most of your stuff is white, I didn't know that the MX Master 2s was available in white! I wish that the motherboard was available in white too. Thanks man! I'm still working on the overall setup but happy so far! I can't say how much I wish this MOBO was in white too. What is that cool support bar under the GPU? It was bought on Amzon but I bought it before looking around... Not worth $50 imo. Want the link? +1 for the great build, and the great pharmacy theme! Here is your next upgrade project: When you decide to replace the Kraken X52 with a custom loop, use EKWB's RGB-lit pump and RGB-lit reservoir top. Hide the pump inside a mortar that is big enough to conceal the pump, carefully drill holes in the mortar to allow access to the pump's ports, and use a small pestle submerged inside the reservoir as an anti-cyclone insert inside the reservoir. LOLOLOLOL I love your story! Those suggestions will be on my mind now until I do it... Thank You! Where did you get that desk btw? It was a black friday deal on Office Depot website. Would you like the link? Also got a matching book case and side table. The table the PC sits on was custom made by my friend and wow he actually was able to match the correct colors to the desk and make it perfect height! This build is... inspirational. Thank you and well done. I am happy you like it!!! Gorgeous build! Absolutely love it! Super clean. Love the case over the graphics card. Great job! Thank you man! I like the GPU shroud too! Once I start pushing the card though I may have to remove it. But we will see! Thank you man!!!! Took a long time to get here but it payed off for sure! Beautfiul and clean :o is that the Anne Pro keyboard? Nice - Can't say I've ever seen that theme before in a PC, but you pulled it off. It looks great and shows your passion for both medicine (pharmacy) and building your own PC. Thank you! Yeah this theme was definitely something that I have never seen and well glad I was able to do this justice. Can you talk about how you painted the motherboard bits? I'm interested in a similar board and white-themed build as you but I'm a little irked that there are no white 370 motherboards. Did you spray paint the components with plastidip? Are there any risks associated with painting them? Well that is a great question. I also was disappointed on the lack of White MOBO from ASUS... What I did was the part on the far left runs from the top left corner to bottom left corner. It is attached to the MOBO via 3 screws. I decided to take that off and masked off carefully the slit where you see the light. I also masked off the wording of "Crosshair Vi" using the plastics angles as a guide to get keep it looking sharp so if the fan was not covering the plastic, you would see a trapezoid shape with the wording which also lets the LED light pass through. You can Kind of see the grey corner of what im talking about. I wish i would have used regular white paint vs plastidip (may be redo project down the line). The Heatsinks i was able to carefully vinyl wrap the top only so it did not affect the temps at all. plus the lines came out sharp with the vinyl. I also vinyl wrapped any other pieces I could on the MOBO like the SATA ports (i think thats what they are called). I heard painting could negatively affect temps so I was happy how the vinyl turned out. Just imagine a professional photographer taking photos of your PC. It'll make your build even more stunning! Partly because you seem to go on in and buy the most expensive parts (read everything already). ESPECIALLY when this is the first time you build a PC. Congratulations. I saw your post on the Facebook group about how excited you were about this. Nice job! Just wanted to say WOW!!!!! I had already decided on the 570x RGB but this... this.. wow, Your build made me proud of my purchase and of what is possible with what I will make happen with my rig(Black/White/Red). 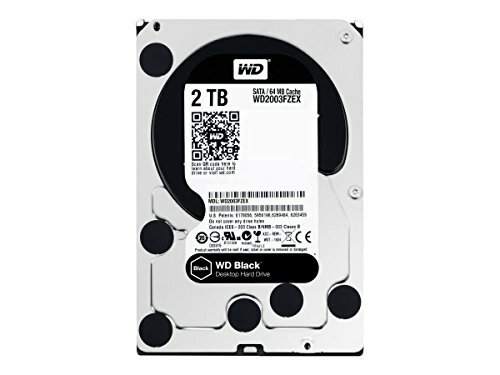 I have a couple questions if you don't mind, as this is my first build (instead of replacing parts in a Newegg prebuilt). I'm going with the Mirror Black version of the 570x, so the lights inside will have to be good quality and was curious, for the two light rings under the M&P and in the shroud, what kind are they? Do they hook up via USB or to the RBG splitters you were talking about? 2 pin 3 pin? Also, what kinda of thermal paste were you using in your Build Vid? 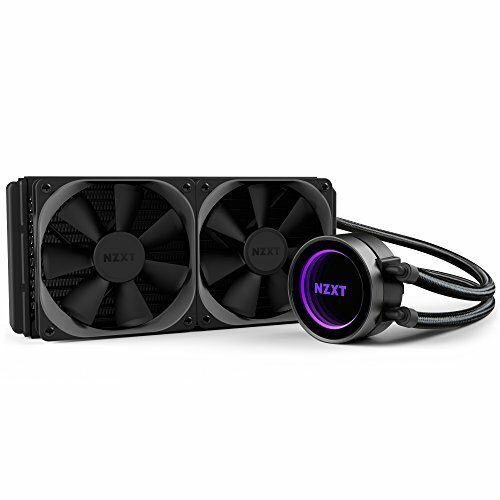 I am still up in the air on which one I should go with for my Cooler as this will be my first cooler vs heat sink, and I am a little worried about the installation of cooler. Thanks for any help and again... WOW! Solid Build Bro!!!! Hey thank you for your comment and praise! I know that you will be extremely happy with the 570X. I wish you the best of luck in your build! The light rings are found on Amazon (link at the end). They hook up to the RGB header on the MOBO via the splitter which I also bought from Amazon. Are you using an AIO cooler? If you are, they already have thermal paste preapplied. I had to reapply mine though because I kinda rubbed it off on accident lol I honestly just used some Thermal take stuff found at my local BestBuy. I have heard Kryonaut??? idk if thats how you spell it... Ive heard that is the best. Ahhh, very nice! I've never heard of Kryonaut till you mentioned it. 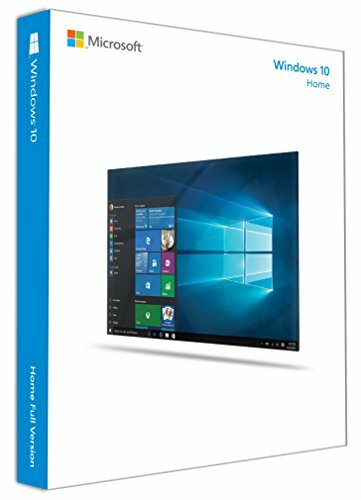 Interesting, so its already on an AIO and ready to roll. No need to buy more? That's good, I've read and seen a lot on this saying its important to have a good amount especially since my chip has no cooler at all and I plan to OC it (I7-8700K). If its already got it, then sweet. I've been eyeballing the Kraken x62 but heard ppl w/ this case complain that it doesn't fit fully and sits a bit loose, not as firm as it should. I noticed you went with the x52... Was it for the same reason or was there a different one? I want the x62 for the extra rad size to help keep the chip as cool as possible but if the x52 can do a pretty close job and fit in my case better.... oh the dilemma's lol. Sorry did you still have this question? -Where did you get the circular stickers for the corsair fans? What size are the stickers? -Can you link me to the circular lights you have installed under the mortar/pestle and in the power supply? -Is there any way I could get some pictures of the back side of the PC? I want to see exactly how you wired all this stuff up please. -Do you have the specifics (size wise) of the custom PSU cables? I'm trying to figure out what sizes I want for all my custom cables. -Link to the RGB splitters you used on amazon? does ur cpu cooler come with pre applied thermal paste? Great build by the way, was just curious though where did you pick up the white vinyl wrap for the HD120 case fans? lol I'm just kidding though it's a great build, very beautiful, well done! This is AMAZING! I love it! I have one questions, and I apologize if you have already answered it and I hope you don't mind answering it again. What is that clear glass looking thing under your GPU that says Republic of Gamers? I would love to get one! Again, amazing build and good luck with your career! I actually work at a place called PioneerRx where I design pharmaceutical software! Hopefully one day you will get to use it! 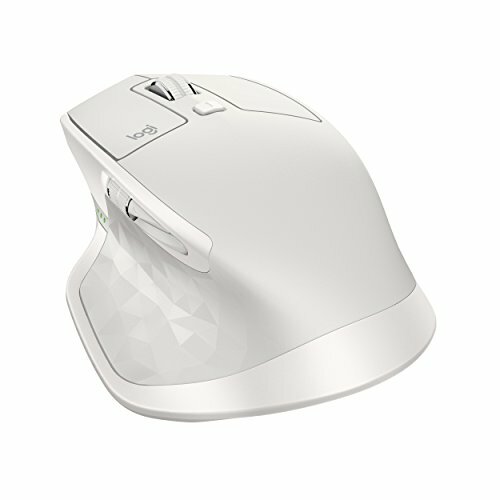 Here's the link for it https://www.amazon.com/gp/product/B01MTYGAR8/ref=oh_aui_detailpage_o07_s00?ie=UTF8&psc=1 I think the ROG one isnt available, but he has other variants. First off, amazing build. Second, I was originally going to build a pc almost exactly like yours in the same case too, but I decided to do it in the Cougar Conquer and just spray paint the black and orange to go along with the Icy White theme. I want an "arctic" color/theme type build one day. This is amazing! 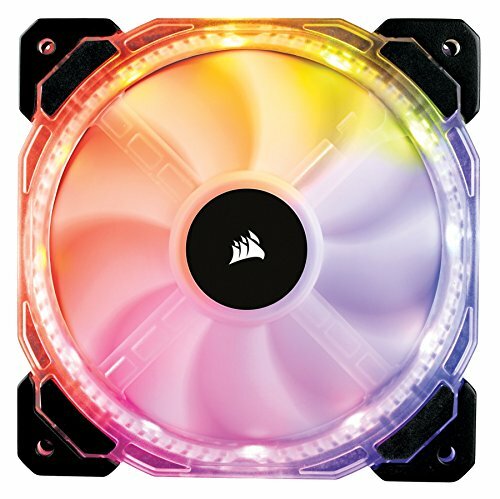 Is the fan in the PSU RGB? Did you use a DisplayPort cable on your monitor? And if you did, when you were playing a game and you used game chat did the voices of your teammates come out the monitor? So glad I clicked on this build. I also have always wanted to do a white themed build but when I built my pc (3 years ago) they didn't have this case. I made a sorta silver black and white themed build but I am currently painting my parts white that need to be painted and switching to the 570x and adding a custom water loop. I also had the same issue with those corsair fans but painting fans is really difficult, thank you so much for the vinyl idea. Nice build man, maybe one day you will see mine once I finish it. What are you using to seal off the open end of the power supply housing (between power supply and mortar)? I don't think that comes stock with the case, correct? Awesome build by the way. Strange question, but what table is that? This is in my top 5 favorite builds to date. Excellent job, sir. From the ROG plate under the GPU, to the Mortar-Pestle, it's so damn beautiful. No more consoles; you're now a PC addict... and I see where you get your fix. BRAVO! The only thing that would make this an 11/10 is if the Rx was lit-up like a neon sign outside of Mom-Pop pharmacies. PS - Best of luck with your pharm. career! I'm also going into medicine - aiming for Physician's Assistant. Thank you! I'm proud of it. Couldnt have done it without this site.